If you answered “yes” to any or all of these questions, you have chosen the right book to skim; read; re-read; highlight; mark up with pencils, markers, and sticky notes; and share with colleagues! 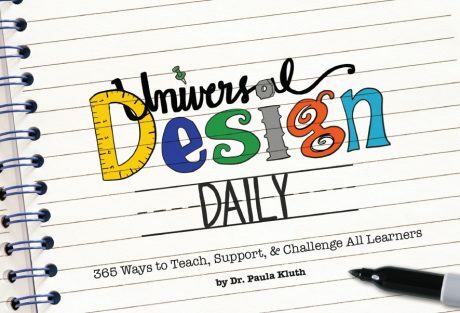 This user-friendly guide will help you learn more about universal design by exploring the practices associated with it. Keeping up with new models, methods, and materials can feel overwhelming. 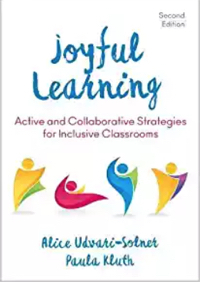 I designed this book for busy educators like you who may not have time to search websites for hours, attend a series of workshops, or read a multi-chapter book cover-to-cover in order to plan effective and appropriately challenging lessons for all students in the diverse classroom. 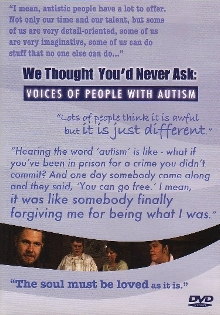 Learn more at udldaily.com. 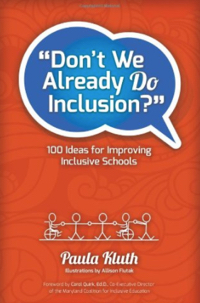 What if your school just said “yes” to inclusion? 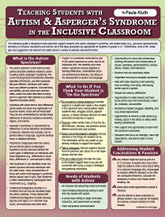 How would students with and without autism benefit? How would you solve the challenges? What do great inclusive schools really look like? 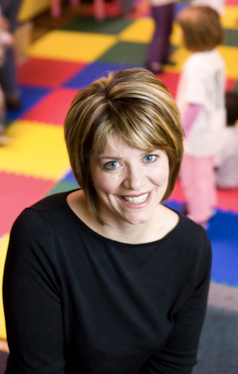 Paula Kluth has the answers and now they’re on one powerful DVD that will help make your school an inclusion success story. 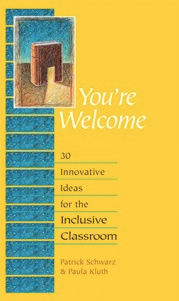 An ideal professional development resource for experienced educators and preservice teachers in K 12 classrooms, this package also includes a concise Facilitator’s Guide with sample professional development plans, helpful summaries of teaching strategies, more tips from educators, thought-provoking questions for group discussion, and practical forms and checklists to evaluate practices and plan supports. When learners with autism have deep, consuming fascinations—trains, triangles, basketballs, whales—teachers often wonder what to do. 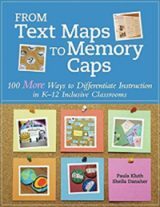 This concise, highly practical guidebook gives educators across grade levels a powerful new way to think about students’ “obsessions”: as positive teaching tools that calm, motivate, and improve learning. 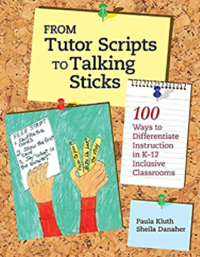 Based on the real-life event that inspired Paula Kluth and Patrick Schwarz’s bestselling Just Give Him the Whale!, this simple but powerful story introduces educators to one of the best, most effective inclusion strategies: using students fascinations to help them learn. An ideal teaching tool, Pedro’s Whale will inspire educators to harness their students natural motivations. The engaging, full-color illustrations (by Justin Canha, a gifted artist on the autism spectrum) also make this book perfect for storytime, so all children can increase their sensitivity to peers with special needs and learning differences. 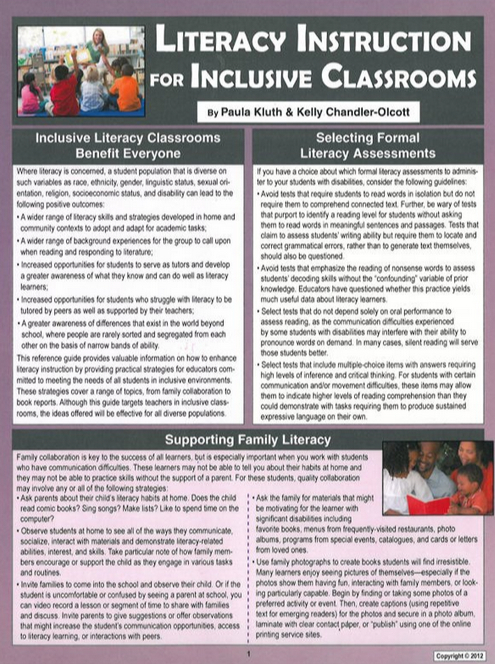 This guidebook brings cutting-edge literacy concepts to special educators who are already familiar with autism but may not have specific training in teaching reading skills and is an essential “literacy meets autism” primer for general educators and reading specialists. For all readers, the book underscores the ways in which literacy can help every learner achieve a more fulfilling, rich, and inclusive academic life. The first alphabet book created with children with autism in mind, A Is for All Aboard! is the perfect way to foster literacy using children’s fascinations. An ideal complement to Kluth & Chandler-Olcott’s A Land We Can Share. Teaching Literacy to Students with Autism, this one-of-a-kind book is all about trains, one of the most popular interests of children with autism. Filled with vibrant, engaging, and uncluttered, art, the book is written for children of all reading levels, with vocabulary ranging from basic concepts (bridge) to special train jargon (idler car, monorail). Sure to captivate children with autism and any young train enthusiast this book will help kids of all ages improve their literacy skills as they learn the ABCs of one of their favorite topics. Complete with helpful teaching tips for educators and parents. Increasingly, special and general education teachers are collaborating in inclusive settings to educate students with Autism and Asperger’s Syndrome. Furthermore, educators are finding that the differentiation of instruction for these students often results in better outcomes for all. 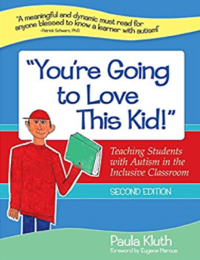 This laminated reference guide, written by Paula Kluth, author of You’re Going to Love This Kid and noted presenter/consultant on topics of Autism Spectrum Disorder, provides a wide range of ideas for differentiating lessons, addressing behavior, fostering relationships, handling transitions and adapting the general education classroom for those students who present with the characteristics of Autism and Asperger’s Syndrome. It includes essential information on the teaching of literacy and math, as well as tips to assist with homework. Valuable website/media/print resources are also provided.